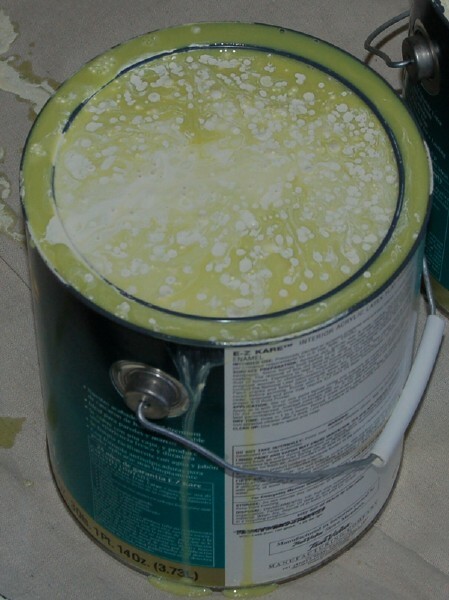 Eye Dull Musings: Fermented paint? Could it have been heat induced? You were lucky that you had a drop cloth down. That could have been a disaster. "just put mold on my walls"??? Hardly. First of all, it was almost 2 years ago, so I didn't "just" do it. Secondly, the paint was not discolored and looked fine after it was applied to the walls. It never turned brown or black. Thirdly, the paint wasn't moldy. It was fizzy like soda, not moldy and lumpy.